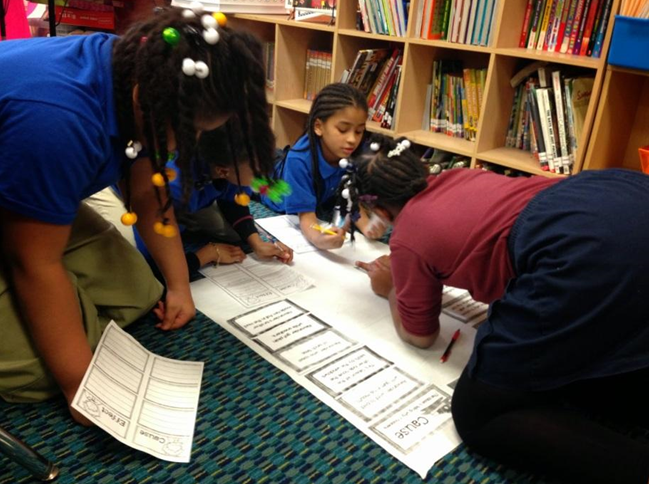 Third grade students at Horizon Science Academy-Dayton Elementary took the Ohio Achievement Assessment (OAA) in Reading today, April 29, 2015. Students arrived today greeted by Ms. Amstutz who had written an important message on the board for her students. The message read: I Believe in YOU! 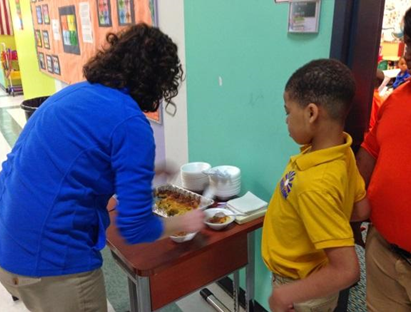 Students were treated to a hot breakfast prepared by Ms. Amstutz and cooked at school. The breakfast consisted of a turkey-sausage, egg, and cheese breakfast casserole and milk. 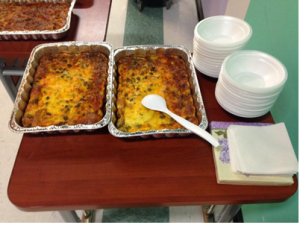 Many students loved it so much they asked for the recipe. If you would like to make it at home, it is easy to make. You can find the recipe here. Showing support for our third graders, Ms. Lierly, our school principal, and Ms. Billingsley, our school dean, helped to serve breakfast to the students. Marion is ready to eat breakfast! 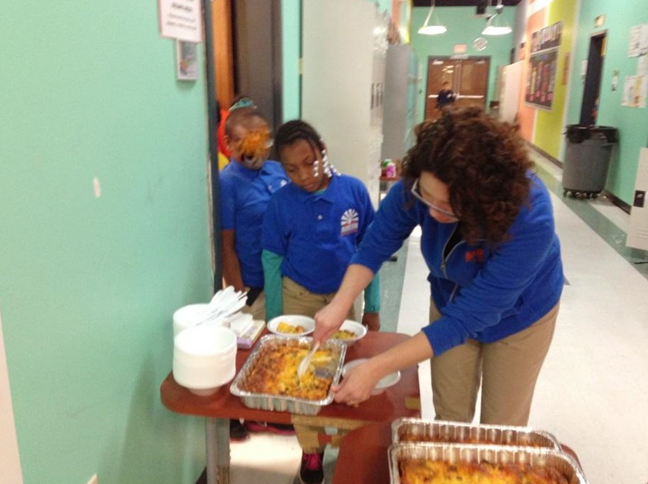 Once they were served, students had some time to eat and enjoy each other’s company in the classroom. They had time to calm their nerves and start their day off in a positive way. So, Why the Special Breakfast? Did you know breakfast improves academic performance and diet? Breakfast helps improve mental performance and concentration during morning activities. 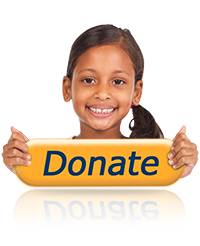 Children who skip breakfast will be more sluggish, less attentive, and have less energy to carry out their morning tasks. Teachers observe that children who come to school hungry experience more learning difficulties compared to well-nourished children. Studies show that breakfast eaters perform much better in their school work and show extra energy in sports and other physical activities. 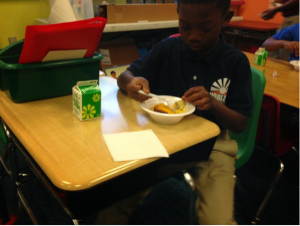 Besides ensuring optimal development and growth, positive effects on alertness, attention, performance on standardized achievement tests, other skills important for academic success are enhanced for those who eat breakfast on a daily basis. Students who eat a low-glycemic (low sugar), balanced breakfast may have better concentration and more positive reactions to difficult tasks than students who eat a carbohydrate-laden breakfast. According to research published in Physiology and Behavior, students given a low-glycemic breakfast were able to sustain attention longer than children given a high-glycemic breakfast. Children following the low-glycemic breakfast plan also had improved memory and fewer signs of frustration when working on school tasks. Let’s face it, our kids are over-tested. Right now, it is the “sign of our times”. We do what we have to do because we “have to”. In order to help the students be “test-ready” what does Ms. Amstutz do? She keeps things normal. She does not spend much time at all doing “test-prep”. She believes that good teaching will lead to good results. Ms Amstutz does not believe that she is teaching for the purpose of getting students to pass a test. She believes that she is teaching students to become readers who find meaning and purpose in what they read. She believes that when reading becomes easier for her students, they will like to read. Throughout the year, there are MANY things we have done to work on our reading skills and strategies. As the OAA was approaching, in order to review some of what we had learned, Ms. Amstutz did an author study with her class as part as the Right to Read Month (in March). 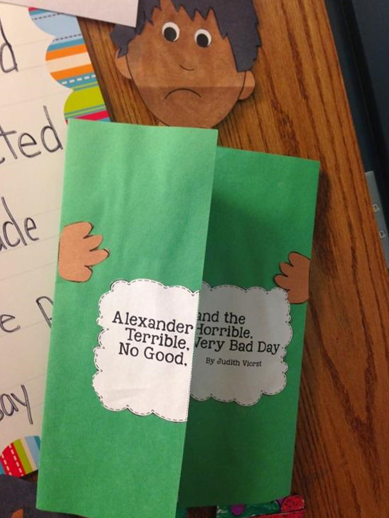 Students were read Alexander and the Terrible Horrible, No Good, Very Bad Day by Judith Viorst. Students practices reading skills and grammar concepts with that book. One skill practiced was cause and effect. Students worked in P.R.I.D.E. groups to sort a group of events that occurred in the story. They had to organize them into two columns: Cause (why something happens) and Effect (what happens). Students also worked on story sequencing. This involved putting a series of events in the order in which they occurred. This helps students work on retelling a story by its important events. The ability to sequence events in a text is a key comprehension strategy, especially for narrative texts. Finding meaning in a text depends on the ability to understand and place the details, the sequence of events, within some larger context—the beginning, middle, and end of a story. Once all of the components were completed, students assembled the parts into a special Alexander lapbook to display. So, as you can see, Ms. Amstutz’s class has kept busy with normal instruction as much as possible. All year, students were given reading comprehension passages (close reads) that had multiple choice and extended response questions. These passages always pertained to whatever we were currently learning in class at that time. Only for a few days right before the OAA in the Fall and the OAA in the Spring were students given “practice tests” and no more than one hour a day was spent off our usual instruction. Ms. Amstutz believes in educating her students in the same way she would want her own children educated. She would like her students to go to school to be enriched and educated to be successful in life, not taught how to take a test. Just as Ms. Amstutz wrote on the board for her students, she really does believe in her students. She believes in their growth and achievement this year. Regardless of how the test results turn out, the students have achieved. Ms. Amstutz does believe the students did well. Many students have had to overcome and struggle through academic obstacles this year, while others have had to overcome personal obstacles. Ms. Amstutz believes, beyond a shadow of a doubt, that no matter what, each and every one of her students has achieved great things this year. And, Ms. Amstutz believes that her students are so much more than a test. 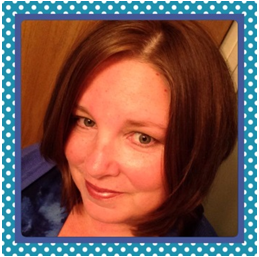 Ms. Amstutz is a 3rd Grade Teacher at Horizon Science Academy – Dayton in Ohio. She is enthusiastic about teaching and is a creative person who is always pushing her students to do their absolute best!